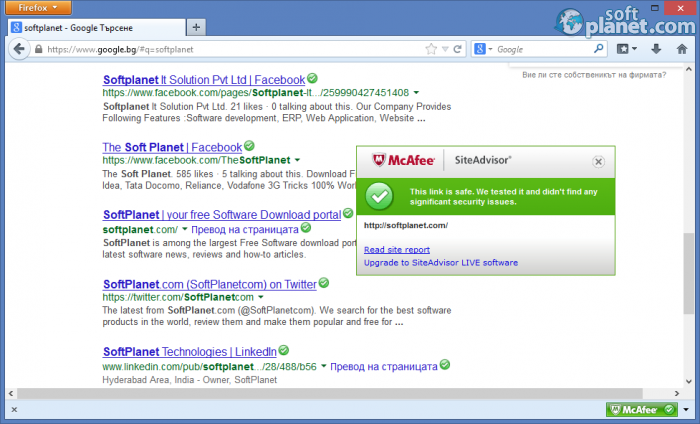 SoftPlanet makes it possible for everyone to get free McAfee SiteAdvisor download directly from our servers. There is no registration needed for downloading. 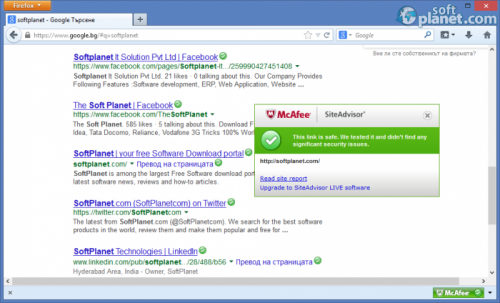 By itself McAfee SiteAdvisor 3.7.210 is a security extension software app for your web browser. Once installed on your computer, its toolbar will appear into your Internet Explorer, Google Chrome and Mozilla Firefox web browsers. What it actually does is to determine web site ratings. Thus you can decide for yourselves whether or whether not to visit a particular website. The rating is very accurate, thanks to the multiple variables that McAfee SiteAdvisor calculates in order to provide you with a most accurate result. As I have mentioned above, McAfee SiteAdvisor calculates different variables in order to work out the most accurate result for things like downloads, e-mail practices, browser exploits, phishing sites, web reputation, e-commerce vulnerabilities, website annoyances and links (online affiliations). This web browser plug-in is fully compatible with search engines like Google, Yahoo! and MSN. In addition, when you have opened a particular page there is an indicator, showing you if the website is safe or not. Basically, McAfee SiteAdvisor doesn't have an interface, because it works behind the scenes for most of the time. The result is the only thing you see. 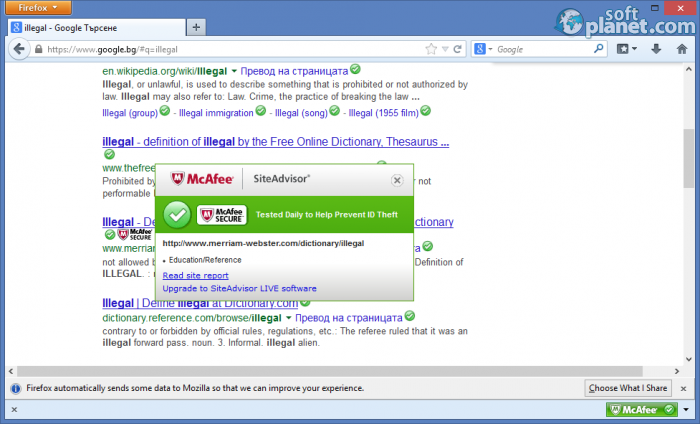 As you have already understood, McAfee SiteAdvisor is a web browser plug-in. Like one it comes with a toolbar, where you can see if the visited web page is safe. The same indicator will appear when you perform a web search with i.e. Google. You will see a ratings icon next to each one of the results. There are 5 different rating icons – McAfee SECURE, SAFE, CAUTION, WARNING and UNKNOWN. Thus you see, which web site you should or should not visit in order to keep your system safe against malware threats. As I have mentioned before, McAfee SiteAdvisor 3.7.210 works from the backend for most of the time. So you will not even notice that it is there. Its workflow is fully automatic, so you don't need to perform any actions on your part. The installation is the only operation required. Once you have it installed, it will do everything instead of you. Like developers say, McAfee SiteAdvisor is an award-winning, free web browser plug-in. It is a very small software app actually, but it can keep you away from big trouble. It is good to have someone/something telling you where to go or not, right? Our security scan shows that McAfee SiteAdvisor is clean from viruses. The current version of McAfee SiteAdvisor has been scanned by our system, which contains 46 different anti-virus algorithms. 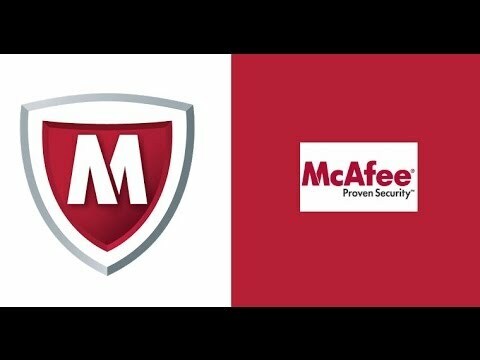 That ensures that McAfee SiteAdvisor 3.7.210 is 100% safe for your computer.